With starry eyes, endless dreams and a glow that belongs among the stars, the whole universe is yours. It’s time to explore the unknown and encounter never seen before dark color! 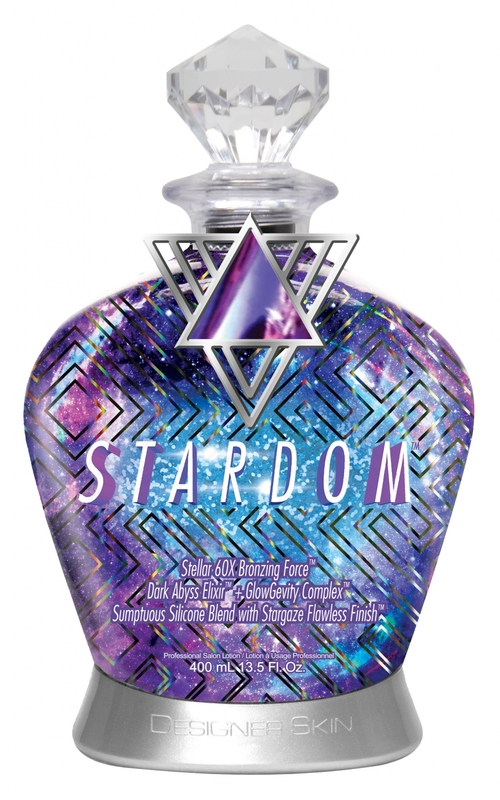 Designer Skin’s 60X Bronzing Force™, with Dark Abyss Elixir™ and GlowGevity Complex™, ensures an out of this world bronze and infinite glow. Experience the magnitude of Sumptuous Silicone Blend and Stargaze Flawless Finish™ for a superior cosmic feel and perfected look. Take your bronze to a new galaxy… Stardom awaits!